Mariah Carey's Christmas Decor Sure Is...Festive. Intensely Festive. Mimi invited the Today Show into her Manhattan penthouse this morning to view the holiday decorations in her "pink room." It was full of Christmas trees (plural) decorated with pink peonies. 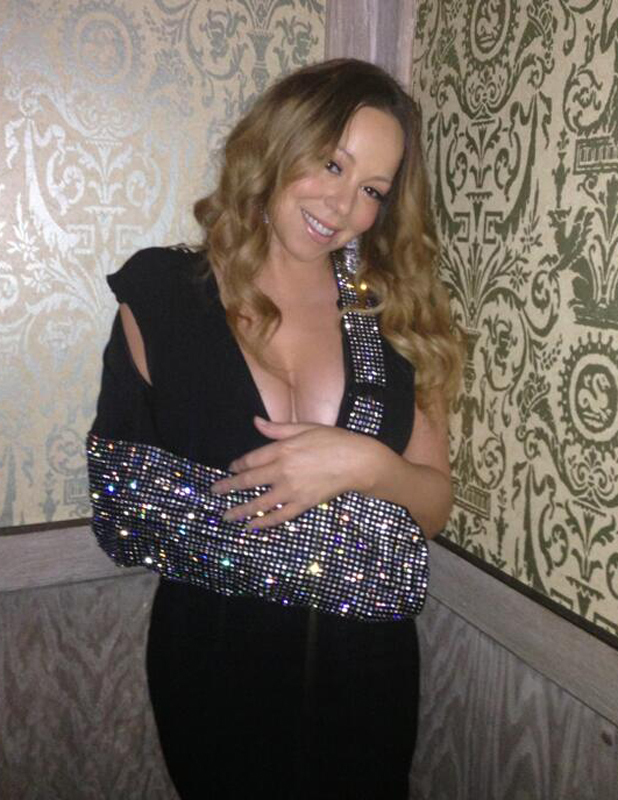 For the segment, Mariah wore a negligee and a robe, and discussed how she "kind of downplayed" her arm injury this year. Oh really? Like when she wore a Swarovski-encrusted sling? Or the lace one? Or the studded leather one? Or the rhinestone one, the fur one, or the feathered one? Or when she publicly requested on a stage in front of an audience at the Out 100 gala that she needed help getting off the stage because her arm hurts? 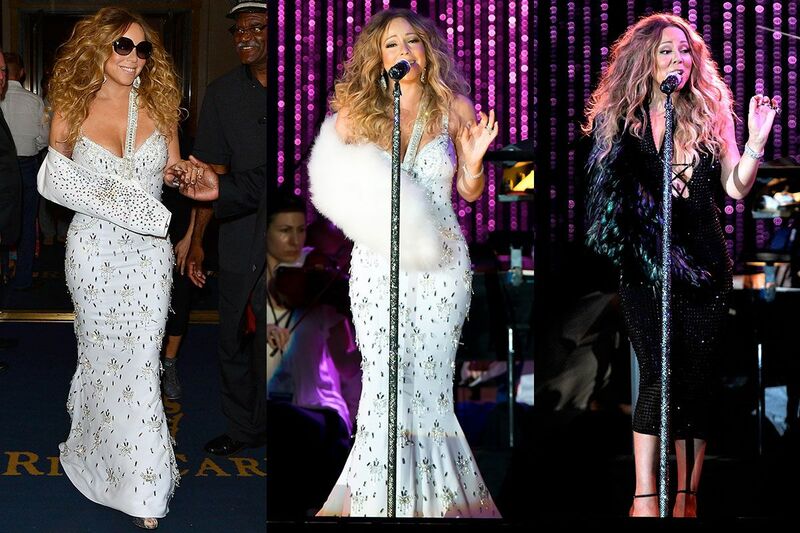 Mariah Carey: the gift that keeps on giving.